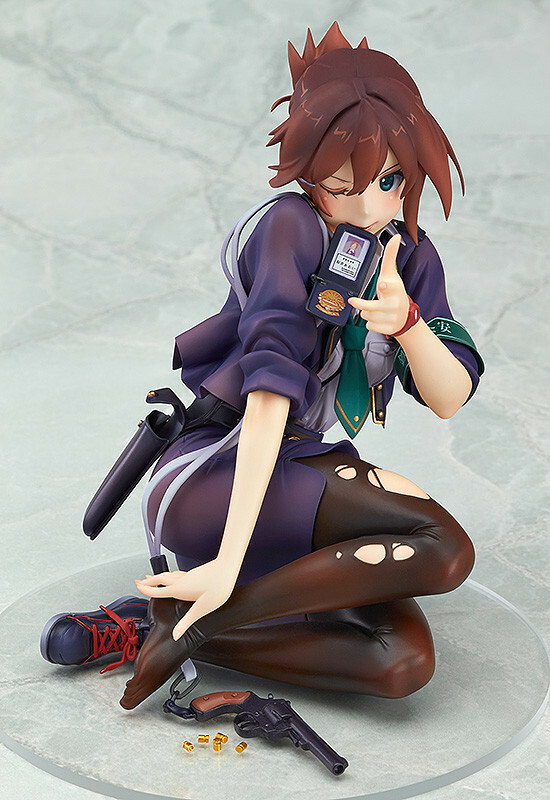 Everything about the original illustration has been faithfully included on the figure - down to the ripped stockings and the smaller details on items such as her pistol and ID card. 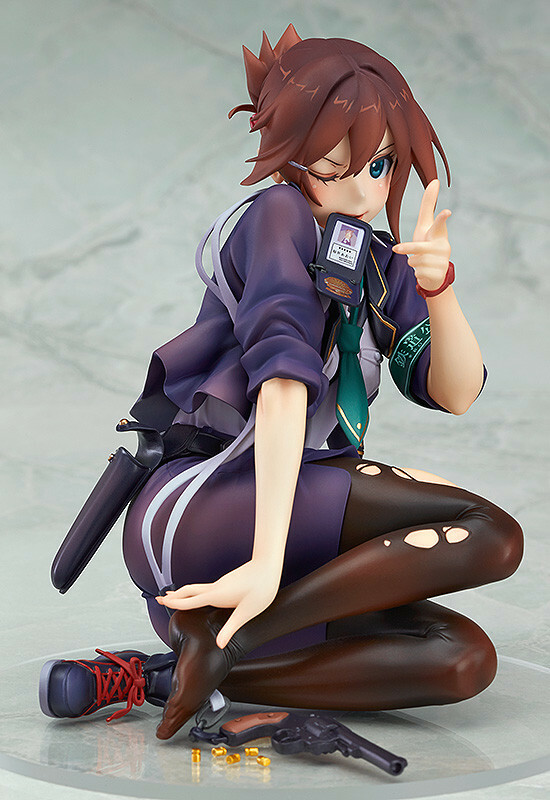 Her left hand is shaped like a pistol, ready to fire right through the heart of her fans! Painted non-phthalate PVC 1/7th scale figure with stand included. Approximately 130mm in height. 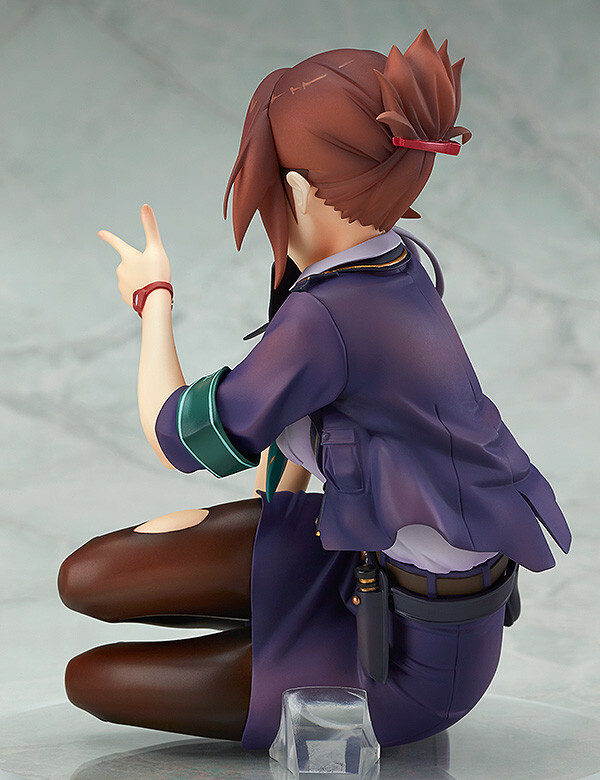 Preorders will be open from 19th February 2015 (Thurs) from 12:00JST until 18th March 2015 (Wed) at 21:00JST.